It all started in 1957. 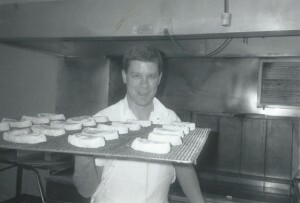 Charles Shields had made a career of managing two commercial bakeries in Springfield and Pittsfield, MA. When that company dissolved he set out to do something a little bit different. Alongside his son, Richard, who was now out of college, they opened up a Donut shop, “Donut Dip”. Donut shops were not unheard of during this time, but they were truly a novelty store, serving nothing but donuts and some coffee. 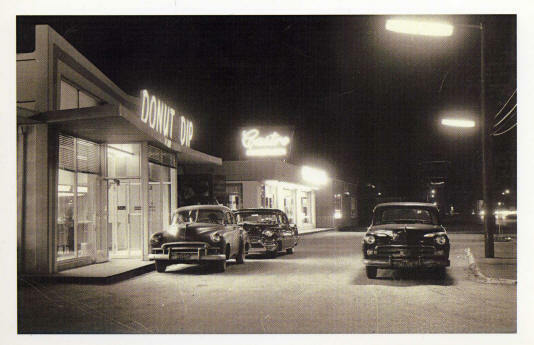 The West Springfield store was the first store opened, and it was designed and built specifically to be a donut shop. In fact, it was featured in an architectural magazine and was considered to be a state of the art facility. It was built right beside the north bound lane on route 5, the second most heavily traveled road in Massachusetts at the time. 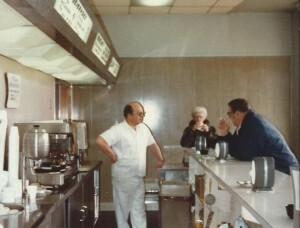 In 1965 a second location in East Longmeadow, MA was opened. 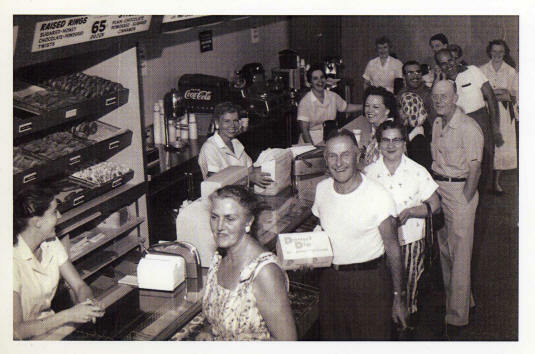 Still to this day it serves as a local hot spot for friends and family to catch up over one of our savory donuts. Throughout the years Donut Dip has seen many changes that has affected the business. In 1968 Route 91 N and S was built yards away from the store, replacing the heavily traveled Route 5 in West Springfield. As time continued Riverdale Road’s commercial business boomed, giving life back to Route 5. Sitting at the crossroads of Rout 91 and Route 90 has given our customers from all over the Northeast easier access to our store. Paul Shields, Richard’s son, joined the family’s business shortly after graduating college in the 80s. He is the 3rd generation and President of the company. Paul’s daughter, Katie Shields, also followed suit, and joined the business after college in 2013. She is the fourth generation. Stop by any given morning and you will find Richard, Paul, and Katie all behind the counter. In recent years other donut chains have expanded exponentially around Donut Dip. We have added much more to our menu to include all of our pastries, muffins, bagels, and breakfast sandwiches. However, we have stayed very true to our originality and our values: serving the highest quality products with exceptional customer service. We have been in business for 57 years and look forward to many more! We would like to thank all of our customers for their continued support!